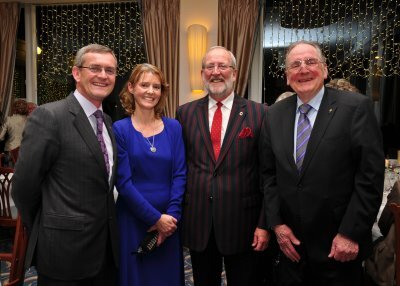 A celebratory Lions Club Dinner in the Grand Hotel marked 40 years of service to the local community and the third world. In the splendid surroundings of the Coast Restaurant overlooking the Marina, the Lions, their spouses, and their friends sat down to a splendid meal. 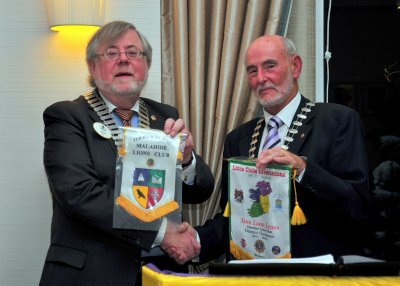 Club President Paul Douglas after being introduced by MC Alfie O' Dowd as an enthusiastic and motivational President, bid a warm welcome to the large attendance and expressed pride in the service of Lions at home and abroad. He paid tribute to the charter members such as Bill O' Brien and Alan Lawless, who established the club 40 years ago. He also praised all the dedicated members down through the years who represented a beacon of hope to those in difficulty. 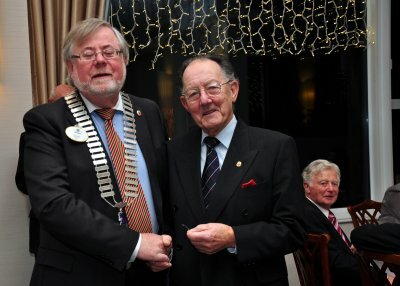 We were, he said, particularly proud to welcome as guest of honour, the District Governor for Ireland, Liam Lyons and his wife, Anne. 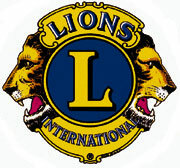 The District Governor in response said that Lions International, with 1.7m. members in 207 countries, was now rated as the No.1 NGA in the world and yet in Ireland it needed to improve public awareness of its work. The big challenges facing Lions today are suicide and homelessness especially homelessness among children. 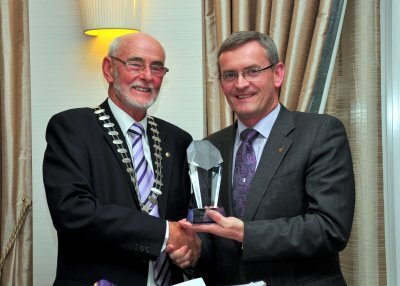 He congratulated the Malahide club on its continued success. The evening was greatly enlivened by distinguished visitors from Howth-Sutton Lions club including their President PDG Gerard Langford and PDG Joe Smith, We also were honoured by the presence of District Secretary Marion Conneely. To conclude the formal part of the evening Lion Paul presented an award to Matthew Ryan, in recognition of the exceptional support and kindness of the management and staff of the Grand Hotel. Mr. Ryan replied that the specially designed award would be treasured by the hotel and said that The Grand was very proud to be associated with Lions and all they represented. After coffee, the assembled folk repaired to the Griffon Lounge where a highly enjoyable singsong, directed by Lion Noel Mitchell at the organ, went on  till late.